If you're headed to Rio de Janeiro for Rio Carnival this year – or if it's simply something lurking on your bucket list – we know you can’t wait to get all glittered up and partake in the debauchery the massive annual celebration (which starts this Thursday!) promises to bring. However, we don't need to tell you that if you're making the leap all the way to one of the most breathtaking cities on earth, you better get some sightseeing in while you're at it. With our list, get ready to explore and let the the warm, welcoming Cariocas (city natives) – along with the hundreds of visitors from all corners of the world – make your time in Rio epically unforgettable. The Caribbean waters that stretch along the vast Brazilian coast are considered some of the most beautiful of the world. Copacabana is probably the most popular beach where you can enjoy Brazilian sounds and flavors from the surrounding kiosks, as well as partake in water sports that are offered along the beachside strip. If you're looking for a more relaxed beach vibe, Ipanema and Leblón are just down the road, with wonderful scenery like the famous Dois Irmaos Mountain along the way. If you're ready to move, take advantage of the hundreds of kilometers of bicycle paths along the beaches. If you want to take your connection with nature deeper, plan a day trip and head to the exotic Abricó Nudist Beach. 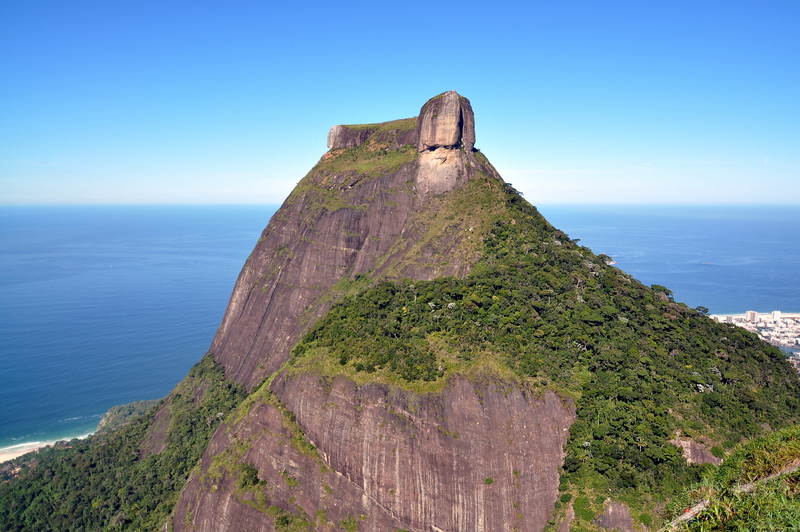 The Pedra da Gávea is the highest mountain that ends directly at the sea, rising 845 meters above the crashing waves. This majestic granite dome, which, according to legend, the Phoenicians carved out to resemble a face, is the end point of the Tijuca National Park. If the mesmerizing panoramic view of lush forests below is not enough and you crave a healthy hit of adrenaline, try paraglidng from Pedra da Gávea's peak. Many companies offer extreme sports services with the highest standards of quality and safety in mind. Don't be scared, make the jump! Many believe Samba was born in this neighborhood, so when you come be ready to party in your dancing shoes. This bohemian neighborhood is known for its lively nightlife – there is something for everyone. From spontaneous parties around the iconic Arcos da Lapa – a meeting point for local samba schools – to dive bars and legendary Samba clubs like Scenarium , you'll experience the hedonistic nature of Rio with a caipirinha in hand. Sugarloaf Mountain is undoubtedly one of the most popular tourist attractions in Rio de Janeiro – you've seen it on all the postcards. It offers cable car rides to two of its summits (Morro da Urca and Pão de Açúcar), and along your ride, take in an unparalleled 360-degree view through floor-to-ceiling windows. 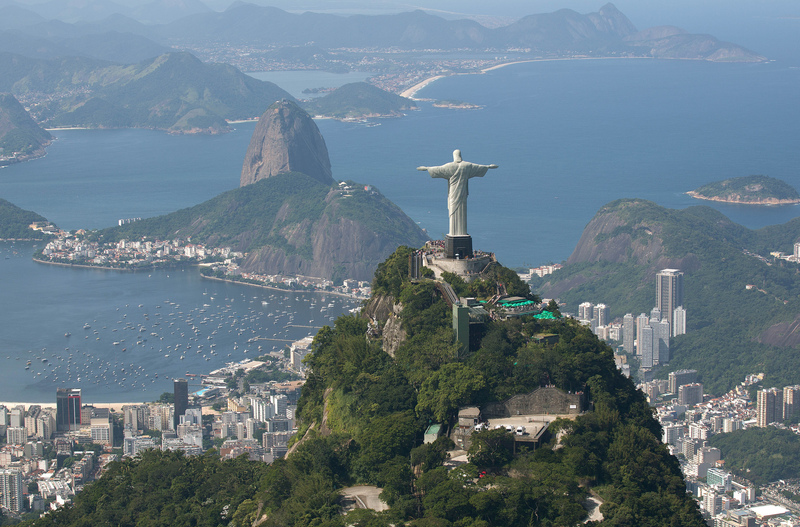 Once at the top of each respective summit, you will see every beach in Rio and all the landmarks, from the Corcovado to the city’s iconic Sambadrome. Visitors to the mountain can also watch rock climbers on Sugarloaf and the other two area mountains, Morro da Babilônia and Morro da Urca. Together, these two form one of the largest urban climbing areas in the world. It is highly recommended to get your ticket in advance and come on a clear day. Located at the start of Flamengo Park, this modern building designed by architect Affonso Eduardo Reidy is a stunning site with outstanding cultural programming that features the best of local, contemporary and international works. After checking out the current exhibit walk around the museum's gorgeous gardens and drink some fresh coconut water sold by vendors in the area. Situated at the end of Leblón beach, the Dois Irmaos Mountains are a staple of any Rio de Janeiro jaunt. The stunning pair of mountains, whose name translates to "two brothers," is easy to hike and promises yet another amazing lookout over the whole of Rio de Janeiro. From the top, you'll see Rocinha, the biggest favela of Rio. On your way back, enjoy a cold beer at one of the chicest favelas of Rio, Vidigal. The police pacification program has allowed for favelas like Vidigal to become an expat heaven filled with laidback hangouts that are safe for tourists. 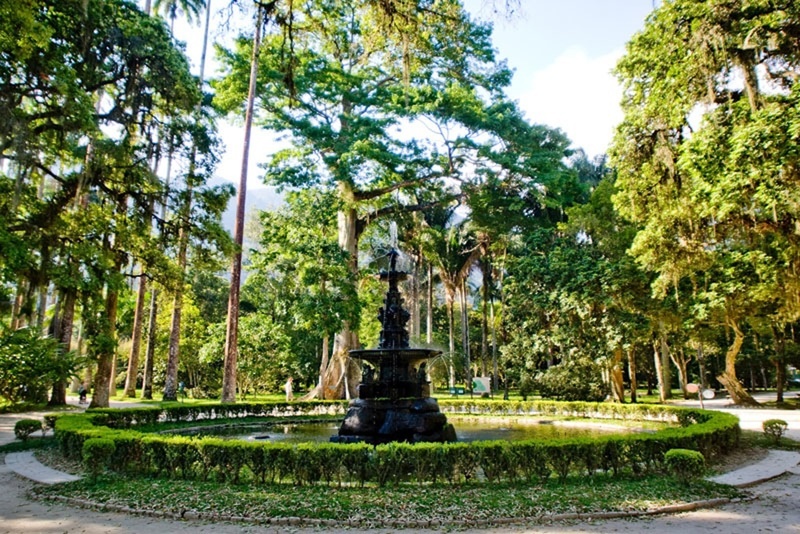 The Jardin Botanico of Rio de Janeiro is the largest area of greenery in the city and is a perfect place to take a stroll. Thanks to the picturesque orchid gardens and friendly wildlife that inhabit the thousands of exotic trees, this place looks like it's straight out of a fairy tale. 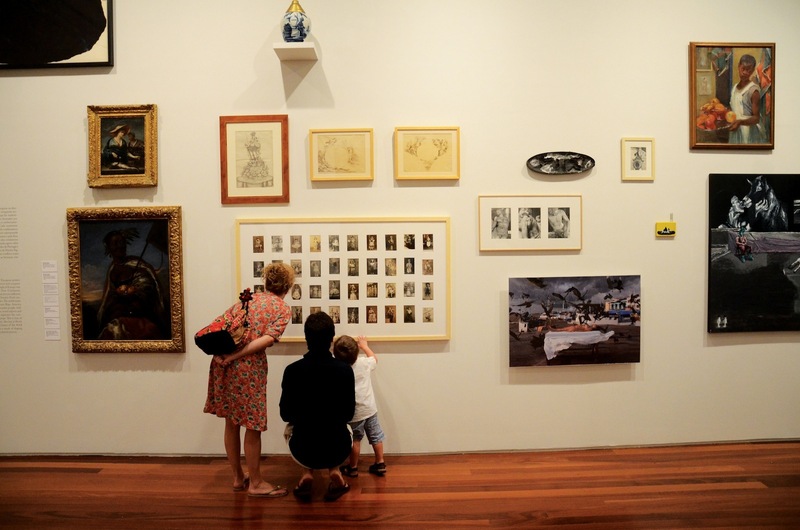 Within the park, there is also the Museu do Meio Ambiente, the first museum in Latin America exclusively dedicated to environmental issues and preservation. Nature lovers will adore watching the park's many little monkeys, or any of the 9,000 different species that freely roam this stretch of land. The creative energy in Rio de Janeiro is vibrant and untamed, and Santa Teresa is a prime example of that. Located atop a hill overlooking the city, the winding cobblestone streets are filled with beautiful architecture, charming restaurants and local shops that'll make you feel far from the chaos of the city. While there, be sure to ride the area's 100-year-old train, and visit the famous Selaron Stairway and the classic Convent of Santa Teresa. If you are looking for a taste of modern and authentic Brazilian cuisine, Rustico and Aprazivel are great spots to try! Just an hour away by boat from el centro of Rio, Paqueta Island offers calm waters, relaxation and beyond-lush vegetation. This is car-free area where bikes and horses are the only means of transportation.You'll feel like you’ve traveled back in time. This is the picture that probably pops into your head when you think of Rio. Yes, we are referring to that giant statue of Jesus with arms open wide atop Corcovado Mountain. Corcovado (which means "hunchback" in Portuguese) is considered one of the New 7 Wonders of the World, so you'll definitely want to stop by. Accessible by car services or train, we recommend you to take the cog train so you can truly enjoy the wilderness of the Tijuca Rainforest as you approach the Redeemer statue on top of the mountain. Once you arrive at the iconic landmark, enjoy the view, walk around the gardens or simply people watch as everyone around you takes selfies on the Statue – after all, it is believed to bring good luck! Make sure you book your ticket in advance to avoid the huge lines.